As a master martial artist, espionage specialist and top-ranked spy, Black Widow has always avoided the spotlight. So to find herself as a part of the worlds first team of Super Heroes feels strange. She is proud of her place on the team, and confident in her abilities, but whether she can stand to work alongside an egotistical billionaire and a bellowing giant remains to be seen. 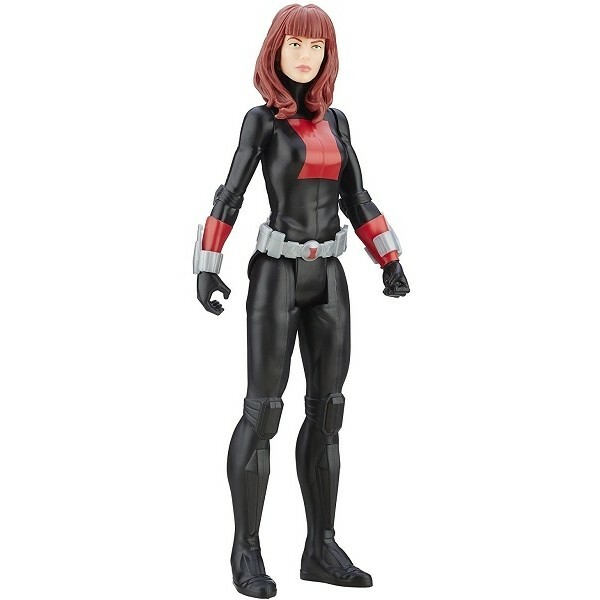 This Titan Series Black Widow figure looks just like the dark heroine. At 12" tall, she's an imposing sight! Five points of articulation allow you to play out all of your superhero adventures.